This product will be presented at our stand for kindergarten and primary school in hall 11 B52. 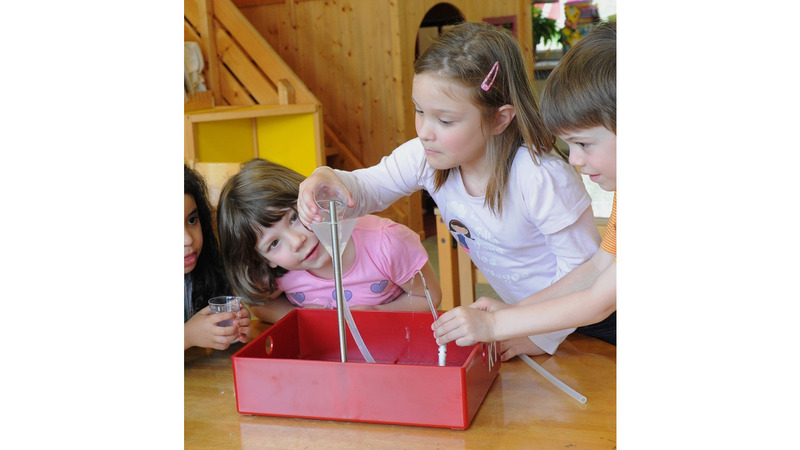 The MEKRUPHY experiment sets KINDERGARTEN contain high quality, multifunctional hands-on scientific equipment for the kindergarten. The sets, which are designed for a group of four children each, have been developed in close collaboration with experienced preschool teachers and universities for use in the kindergarten. After taking out the moulded insert, the storage box can be used as a waterproof container or as a support using a thread into which the stand rod can be screwed. Apart from handy, robust and easy to store experiment sets, the program covers the accompanying workbooks and teacher handbooks. The program covers the topics WATER, AIR, MAGNETISM and PLANTS.